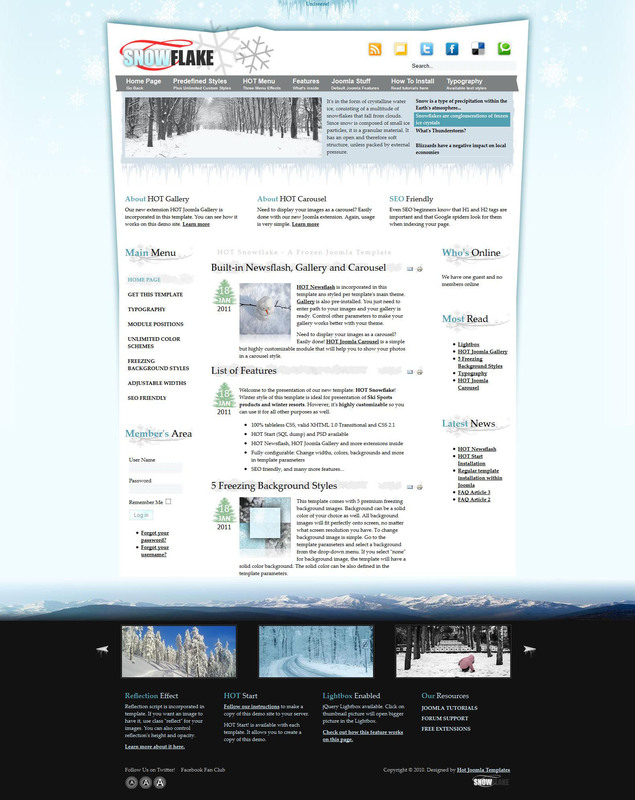 HOT Snowflake - an unusual pattern of tourism topics from design studio HotJoomla. This template contains more than 20 module positions, 5 pre-design and design options completely compatible with versions 2.5 and Joomla 1.5. In the assembly includes popular extensions studio: HOT Newsflash, HOT Joomla Carousel and HOT Joomla Gallery. The control panel allows you to adjust the template to customize the layout at the desired modular layout through flexible management pattern width and side panels.